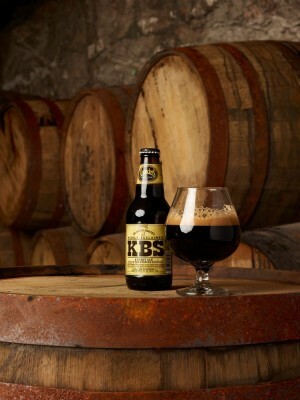 "Founders KBS release 2013 will begin with a four-day, pre-ticketed, on-site bottle release beginning on Wednesday, March 27, prior to being released across our distribution footprint on April 1. Tickets for all four release dates will be available beginning at 11:00am EST on Saturday, February 16, via brownpapertickets.com on a first-come, first-served basis. There is a limit of one ticket per person. Tickets are non-refundable, and proceeds from the $5 purchase price will be donated to Grand Rapids Whitewater. Your ticket, along with a valid government-issued photo ID, gets you the opportunity to purchase KBS only on the date listed on your ticket. A strict maximum limit of 12 bottles per person applies. KBS is $4.75 per bottle, $19 per 4-pack, and $57 for 12 bottles (three 4-packs). Bottles can ONLY be picked up on the day listed on the ticket from ourCompany Store during regular business hours (see above). ‘KBS Week’ culminates in an all-day draft release party in our taproom on Saturday, March 30. The party takes place from 11am-2am, is strictly 21+ and is free-of-charge. March 30 marks the first day KBS will be available on tap. The party stars the draft release of KBS, and free live entertainment will be offered in the evening."